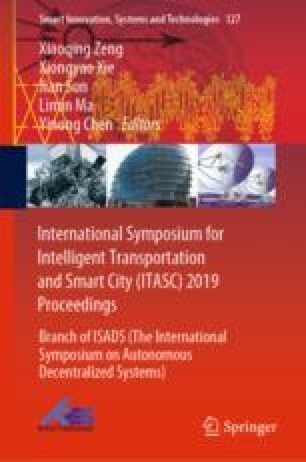 This paper proposes a stochastic traffic assignment model with multi-modes incorporating the concept of bounded rationality. Multi-criteria decision is considered using TODIM (which stands for “multi-criteria, interactive decision making” in Portuguese) method to generate variable demands, route uncertainty is taken into account based on cumulative prospect theory to measure route choice behavior. A numerical example is used to verify the validity of the new model. The sensitivity of the scaling parameters for the mode and route choice is also analyzed. Results confirmed the model’s applicability and showed that travelers’ preferences on different routes are reference dependent. Two scaling parameters have a significant influence on the final results and must be estimated very carefully from real data. This research was supported by the National Natural Science Foundation of China (Number 71861032), National Natural Science Foundation of Xinjiang (Number 2018D01C071) and the doctoral research fund of Xinjiang University.